How to add a Google Slides presentation to Wooclap? To add your Google Slides to Wooclap, follow these 5 steps. 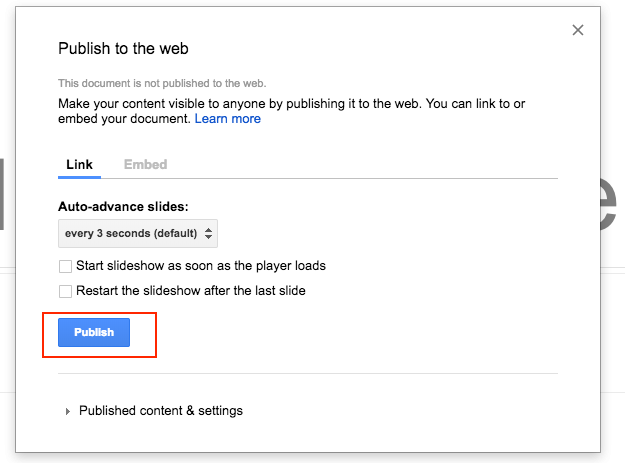 1) Go to the "File" menu on your Google Slides presentation, then "Publish to the Web...". 2) A new window opens: click on the "Publish" button. 3) Another popup window asks you to confirm that you want to publish the Google slides: click on "OK". 4) Copy the link to the Google Slides and go on Wooclap. 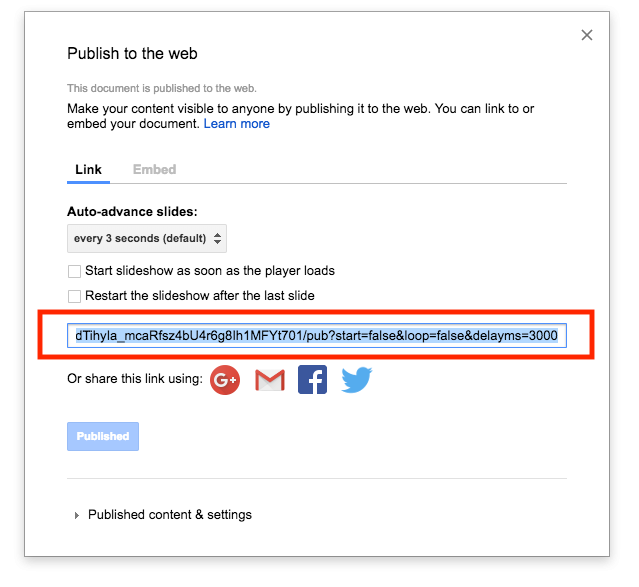 5) On Wooclap, click on "Google Slides" and paste the link you just copied. 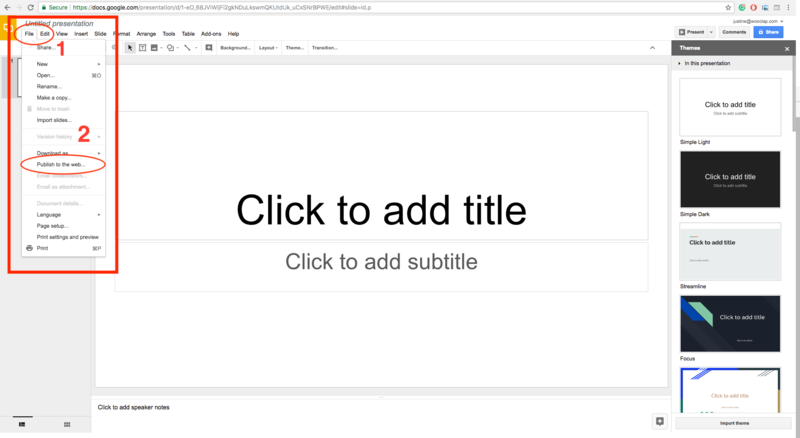 Your Google Slides should now appear at the bottom of the list and you may start the Google Slides by clicking on the "Start" button.